Eric Kuckhoff ’84 (chemistry) is the new president of the Alumni Association. Kuckhoff assumed this position on Jan. 1. As president of the Alumni Association, he leads the Alumni Association Board of Directors and serves a two-year term as the board representative to the Board of Trustees. The function of the Alumni Association Board of Directors is to act as the advisory body to the Office of Alumni Relations and represent the alumni population by contributing ideas and opportunities that will enhance the relationship between alumni and the university. 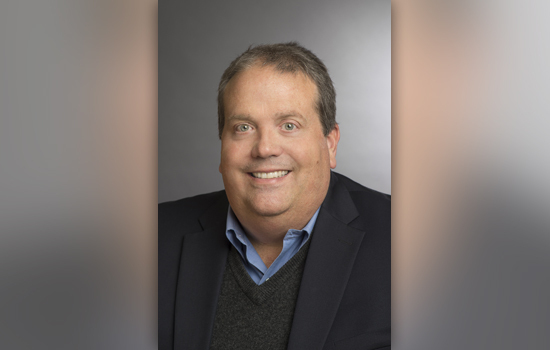 Kuckhoff, vice president and general manager for North America at Cargill in the industrial specialties group, has been a member of the board since 2007 and served as its vice president for the last two years. The industrial specialties group uses bio-based materials to make industrial products. He was the founder and operating partner of Polystar LLC and previously worked at Cytec Industries and The Dow Chemical Company. He attributes his success to his education and experiences at RIT and views his role as an opportunity to give back to the institute through increasing the board’s visibility and elevating the voice of alumni to the institute. As president of the association, Kuckhoff worked to develop a new committee structure to strengthen the board’s relationship with the Office of Alumni Relations and align more closely with RIT’s strategic plan. He hopes the four new committees— pride and recognition, institutional support, regional volunteer engagement and RIT for Life—will increase the board’s visibility as a problem solving resource to the Office of Alumni Relations and encourage greater alumni connections with RIT. The Alumni Association Board of Directors is composed of approximately 30 members who represent more than 118,000 alumni.